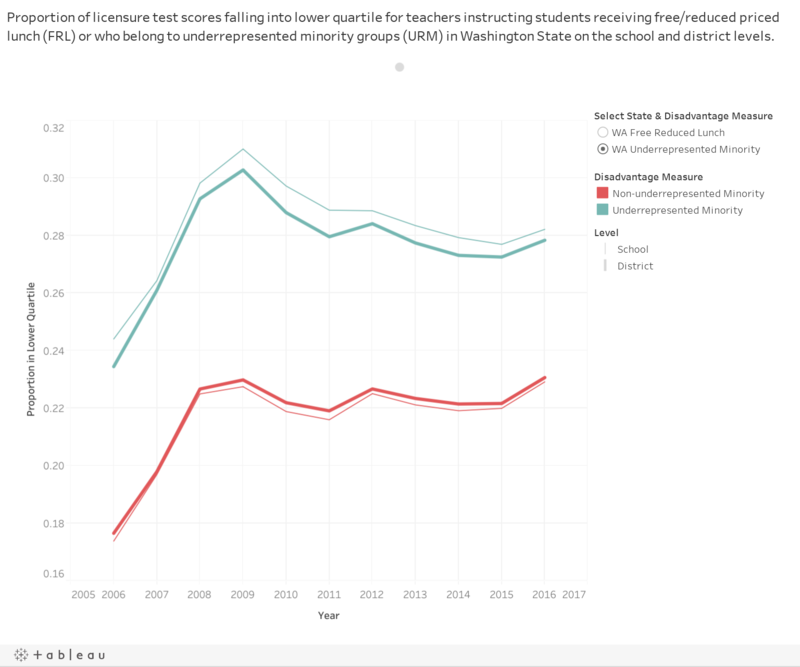 There is growing interest in the distribution of teachers across students in U.S. Public Schools. 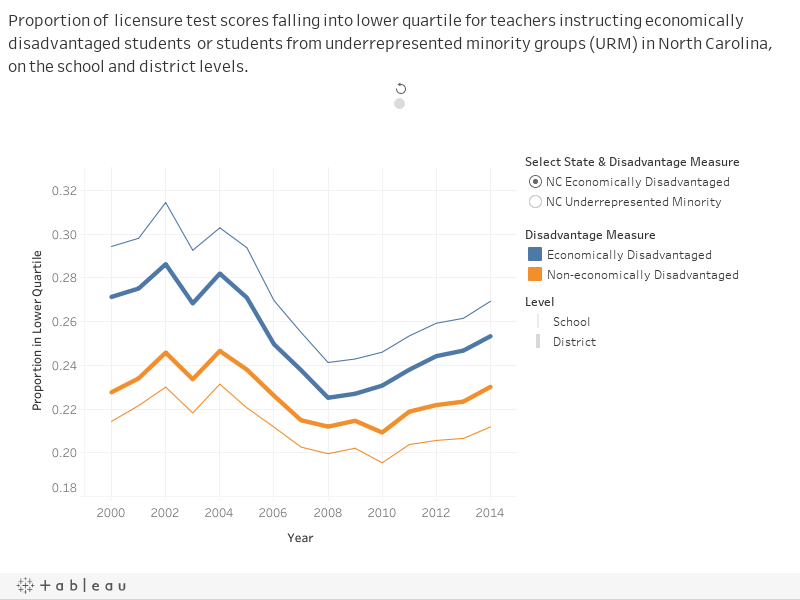 In response to mounting evidence of the importance of teachers and the existence of “teacher quality gaps” (TQGs), the federal government recently directed states to develop plans to reduce inequity in the distribution of teacher quality across public schools. 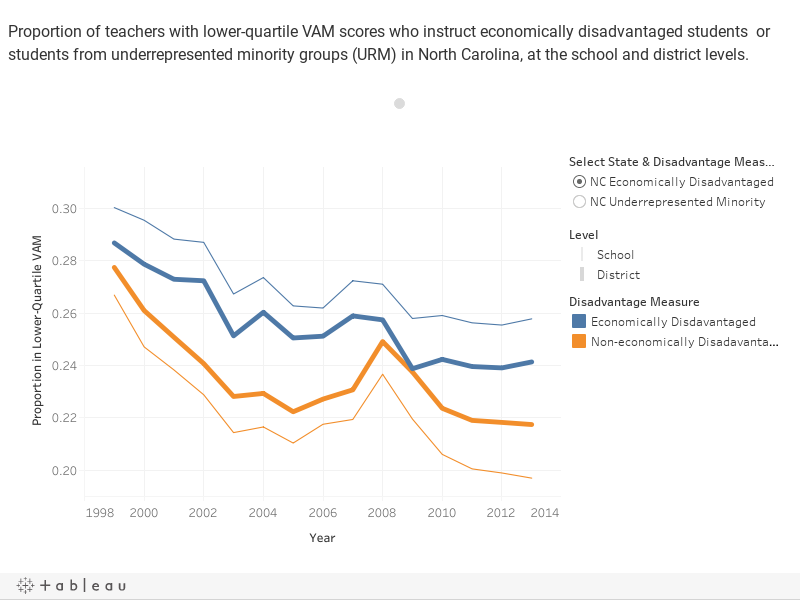 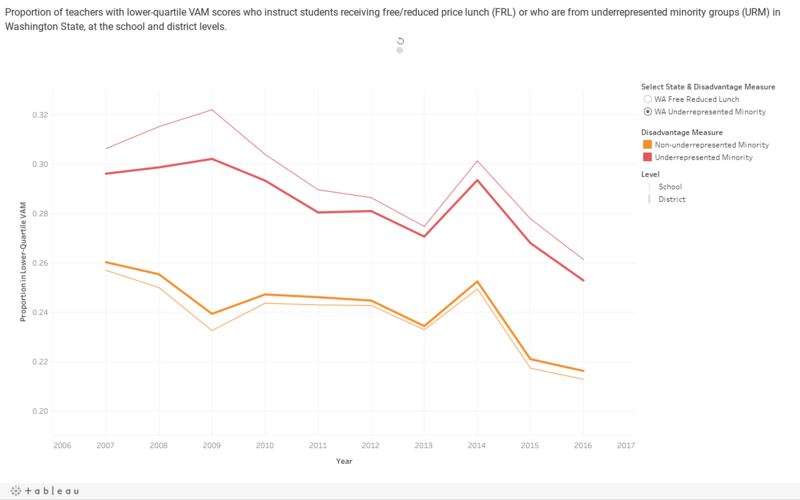 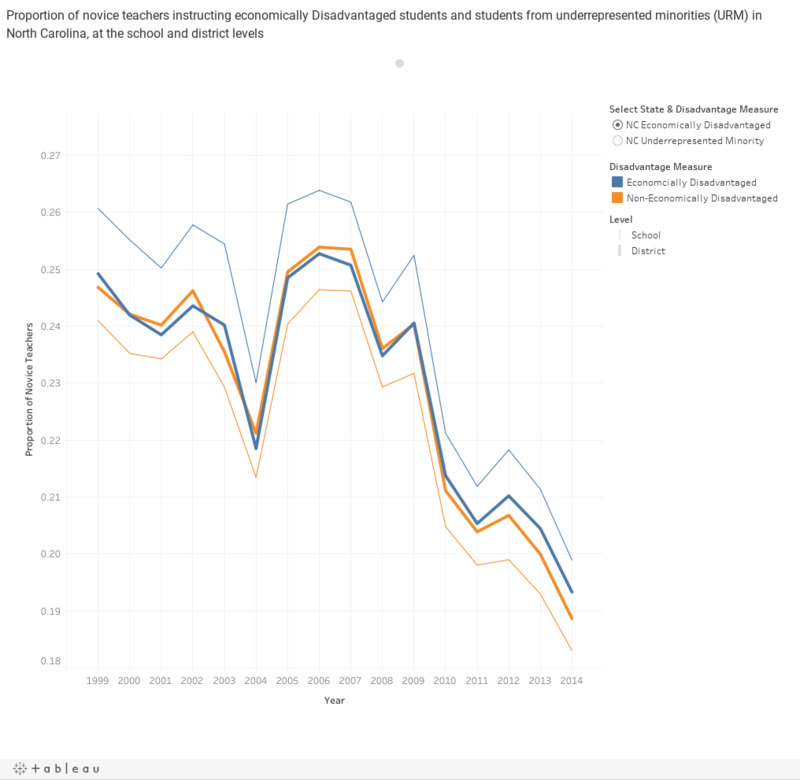 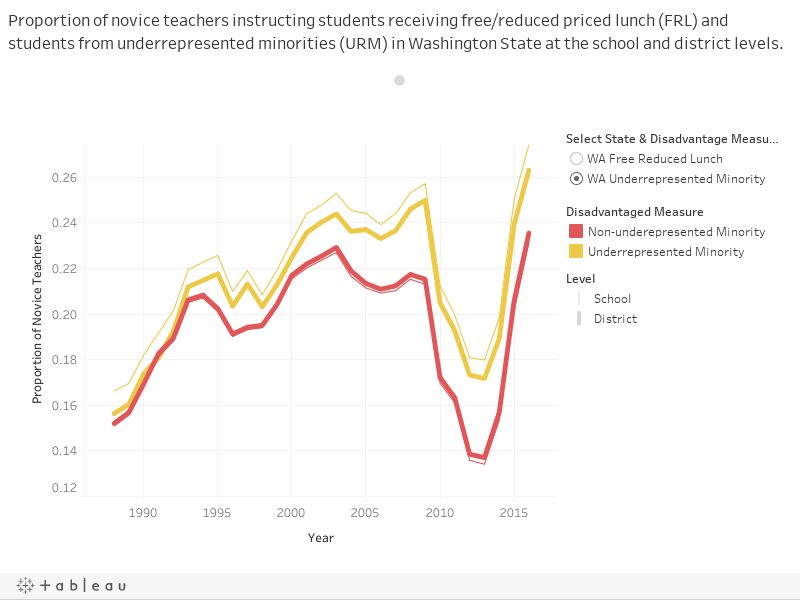 This data visualization is part of a broader project, funded by the William T. Grant Foundation and CALDER funders, that uses longitudinal data on public school students,teachers, and schools from two “focal states”—North Carolina and Washington—to provide a descriptive history of the evolution and sources of TQGs.